, members of an esoteric society or group of societies, who claim that their order has been in existence since the days of ancient Egypt and has over the course of time included many of the world's sages. , 1575–1624, German religious mystic, a cobbler of Görlitz, in England also called Behmen. He was a student of the Bible and was influenced by Paracelsus. 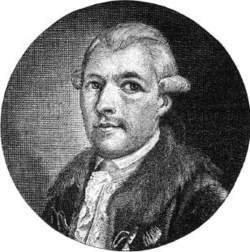 Adam Weishaupt was a professor of religious law who founded the Order of the Illuminati. The Illuminati is the ultimate secret society, a cabal that stretches its tentacles of control to encompass the entire world. The members of the Illuminati are the real rulers of the world, and they have been pulling the strings from behind the scenes for centuries. They have infiltrated every government and every aspect of society around the planet. Some say that their ultimate goal is to install a satanic New World Order, a one-world government, that will prepare Earth’s citizens for the coming of the antichrist. The term was first used by Spanish occultists toward the end of the fifteenth century to signify those alchemists and magicians who appeared to possess the “light” of spiritual illumination from a higher source. Later, a mystical sixteenth-century Spanish sect, the Alumbrados, adopted the name Illuminati. The secret society known as the Order of the Illuminati was founded in the city of Ingolstadt in the southern German monarchy of Bavaria on May 1, 1776, by Adam Weishaupt, a twenty-eight-year-old professor of religious law, who deliberately blended mysticism into the workings of the brotherhood in order to make his agenda of republicanism appear to be more mysterious than those of a political reform group. Beginning with only five members, Weishaupt’s order grew slowly, numbering about sixty in five cities by 1780. He adopted many of the classes and orders of the Masons, and he promised his initiates that they would receive a special communication of occult knowledge as they advanced higher in the ranks of the Illuminati. Weishaupt’s society had little effect on the German political structure until 1780, when he attracted the interest of Adolf Francis, Baron von Knigge, a master occultist and a man who had risen to the highest levels in many of the secret societies that preceded the Illuminati, including the Masons. Knigge had no problem melding his interest in the supernatural with Weishaupt’s goal of political revolution, and the two men quickly established branches of the Illuminati throughout all of Germany. A few months after Knigge had joined Weishaupt’s cause, membership in the Illuminati swelled to three hundred. Weishaupt gave special emphasis to enlisting as many young men of wealth and position as possible. He also managed to create an aura of mystery around himself, permitting himself to be seen by none but those in the highest ranks of the society, thereby encouraging the myth that he was an adept of such great power that he existed largely as an invisible presence. Initiates into the Illuminati underwent secret rites, wore bizarre costumes, and participated in grotesque ceremonies designed to instill complete obedience to Weishaupt. Soon the organization became a force to be reckoned with behind the scenes in Germany’s political life, and its members worked secretly to overthrow both church and state. As the group’s influence, Weishaupt and Knigge became concerned that certain of the more powerful German princes would take immediate steps to suppress it. To hide the society even more completely from official scrutiny, the leaders implemented Weishaupt’s original plan of grafting the Illuminati onto the larger brotherhood of the Freemasons. The Masons were not long in discovering that interlopers had joined their fraternal brotherhood with less than honorable motives. In 1782 a group within the Masons called the Strict Observance demanded that a council be held at Wilhelmsbad to examine the true beliefs of the Illuminati. Knigge’s powers of persuasion effectively blocked the attempt of the Strict Observance contingent to expel Illuminism from the society of Masons, and he managed to enroll almost all the members of the council in the Illuminati. By 1784 Illuminati membership had risen to three thousand, and the secret society appeared on the verge of assuming control of the entire Masonic establishment. Just when their goals seemed within their grasp, Weishaupt and Knigge fell into a serious disagreement about the correct manner of proceeding with their master plan. In April 1784 Knigge withdrew from the Illuminati, leaving Weishaupt the supreme commander of the increasingly powerful society. A few months later, a number of initiates who had reached the highest level within the Illuminati became disillusioned when the special supernatural communication from a higher source that Weishaupt had promised had not manifested. It now became obvious to them that Weishaupt had only sought to use them for the achievement of his political ambitions. The Illuminati was denounced as a subversive organization by many of its former members, some of whom informed the duchess dowager Maria Anna of Bavaria and the ruling duke of Bavaria, Karl Theodor, that the society sought the end of both religious and royal authority. In June 1784 Karl Theodor issued an edict outlawing all secret societies in his provinces. In March 1785 another edict specifically condemned the Illuminati. Weishaupt had already fled to a neighboring province, where he hoped to inspire the loyal members of the Illuminati to continue as a society. In 1787 the duke issued a final edict against the Order of the Illuminati, and Weishaupt apparently faded into obscurity. Although he never realized his goal of a German republic and the overthrow of the European monarchies, the sparks that he had ignited with the Illuminati would soon burst into the flames of the French Revolution in 1789. There we have it. The Illuminati, with its plan for a new world order, was destroyed within fifteen years of its origin. Of course, that’s not quite the final word according to conspiracy theorists. After the Illuminati was banished from Bavaria, it survived in the form of the German Union and a number of “reading societies” devoted to literature and self-improvement. Weishaupt had concentrated on the recruitment of wealthy young men, so it was through their combined fortunes that the Illuminati gained control over the literary societies and printing presses. In short order they circulated books and pamphlets showing the deceptions of organized religion and the social abuses of government. Ceaselessly they promoted anarchy and revolution and preached the dissolution of all monarchies. Their master plan was to destroy the aristocracy and appear to bring power to the people while, in reality, exploiting the common folk as puppets whom they could control from behind the scenes. The French Revolution was the first of several political uprisings to come. In 1797 John Robison’s book Proofs of a Conspiracy against All of the Religions and Governments of Europe, Carried On in the Secret Meetings of Freemasons, Illuminati, and Reading Societies sought to expose the secrets of the Illuminati. In 1799 Abbé Augustin Barruel joined the voices raised in protest against the machinations of the Illuminati when he published his four-volume study entitled Memoirs Illustrating the History of Jacobinism. Some conspiracy theorists maintain that the Illuminati infiltrated the ranks of the American Founding Fathers, pointing out that documents recovered in Germany reveal that the symbol for the Illuminati was a pyramid with an eye in the capstone—familiar as a feature of the Great Seal of the United States as shown on the back of the U.S. one-dollar bill. Underneath the Great Seal pyramid, the Latin phrase Novus Ordo Seclorum means “New Order of the Ages”—perhaps not exactly “New World Order,” but certainly close enough for believers. According to some theorists, Karl Marx and Frederick Engels were students of Weishaupt and Illuminism and adapted the goals of the Illuminati when they composed The Communist Manifesto in 1848. The overall plan developed by the Illuminati in the 1780s is still being followed today: Encourage world wars so that people will feel that there is a need for an organization like the United Nations in order to establish peace between warring factions. Once such an organization is created, continue the pressure of war so that, in time, a world body of government with a world court and a world police force will keep the masses of all nations in check and absolute power will be in the hands of the Illuminati. The term refers to secret societies of the past; however, the Latin plural "ti" is used for groups of top people in various disciplines. Following are the terms that relate to high tech.